CONTRACTORFIND.co.za™ is proud to showcase only the best, registered and certified Cornice & Moulding Suppliers in Durban. Need qualified Cornice & Moulding Suppliers for the job? CONTRACTORFIND.co.za™ is the place to find them! All the listed Cornice & Moulding Suppliers below have been screened and certified, ensuring that their service and quality is the best in Durban. Find the top Cornice & Moulding Suppliers in Durban now. 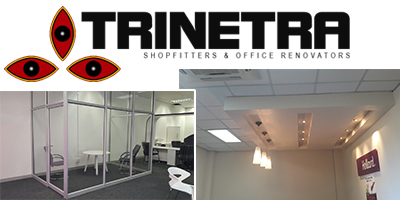 Established in 2013, Trinetra are fast becoming market leaders in the shopfitting and residential construction industry. At Trinetra, we continuously work to build long term relationships based on trust with all our clients and suppliers. Extensive customer service experience re-enforces our provision of high quality, service, reliability and professionalism across our operation - Committed to putting clients first 24/7 and 365 days a year. 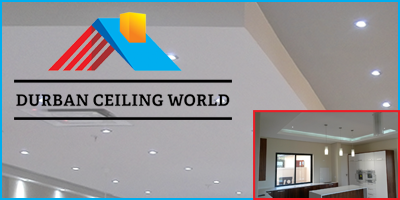 Durban Ceiling World C.C was established in 1996 and have grown from strength to strength over the years gaining experience in the industry. We have a team of dedicated staff who know that quality is our priority and work closely with our customers, contractors and project managers to ensure that all work carried out goes according to plan. We aim to give you our services as efficiently as possible but at the same time ensuring the best of quality. Cornices, polystyrene, plaster, and bulkheads. Be sure to measure and re-measure to ensure all measurements are correct. Make sure you use the correct adhesive for your material being used and nails that are suitable for the wood used and depth of the moulding. Always be safety conscious and use safety equipment like rubber gloves, masks and goggles. Remove all furnishings from the walls where cornice moulding is being applied.